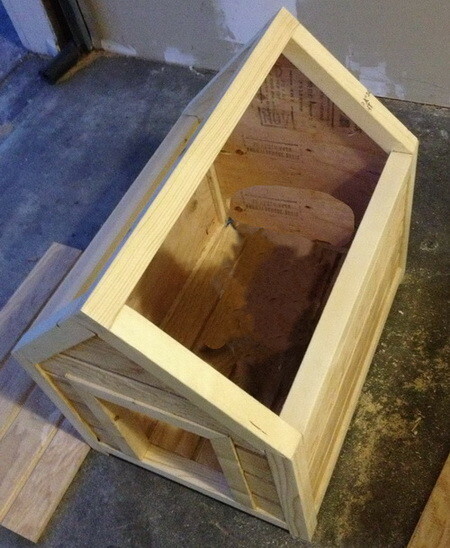 Build a dog house with these free easy step by step photos and plans below. The dog house should have a floor that is above the ground a few inches to prevent water from entering. Keeping the floor raised will also keep it from the chilly ground in the cold parts of the year. 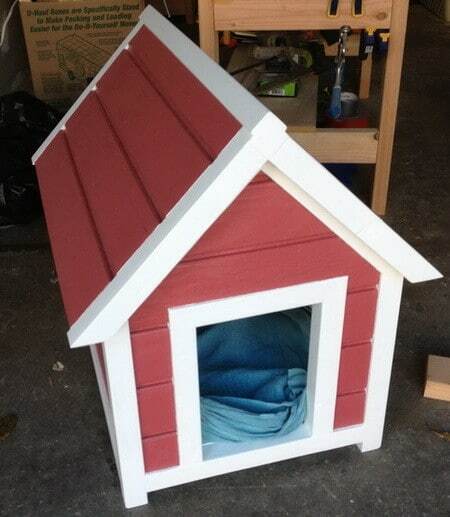 The dog house on this page was created for a small or average sized dog. You can scale the size smaller or larger as needed to accommodate your own dog. The dog house should be big enough to let your doggy turn around easily and fully stand up. NOTE: A smaller built dog house is heated by the dog’s own body heat and will help your pooch stay warm in the cold months. draw out the sizes on the sheet of wood as seen above. These pieces will be to build the platform that the dog house will be built on. An exploded view of the parts of the dog house. 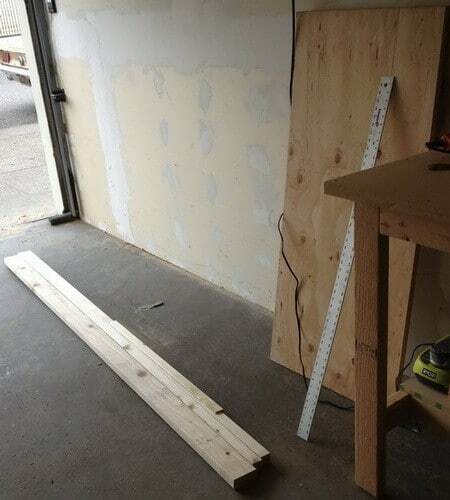 Cut the 8′ 2×4 into 2×2 stock to be used as frame elements. From these cut 4 pieces 12 1/2″ long. Nail these pieces flush against the short edges of the sides. Also attach frame pieces to the inside roof line of the front and back panels. Put one of the sides in place. Attach the back and front of the doghouse. This illustration shows the bottom portion of the dog house. Round out the bottom of the 6″ platform legs. Align the tops and nail the legs against the inside of the 22 7/8″ long side pieces of the platform. Assemble the frame by nailing the 20 3/4″ front, back and side pieces. Here is the wood needed to build our dog house. Once the wood was cut we assembled the base, front, back, sides and top. Here is our dog house fully assembled and ready to be taped off for paint. 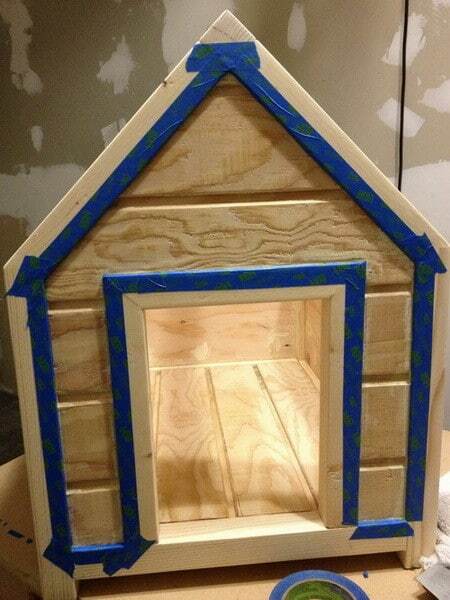 The dog house has painters tape applied and ready to start our custom paint job. 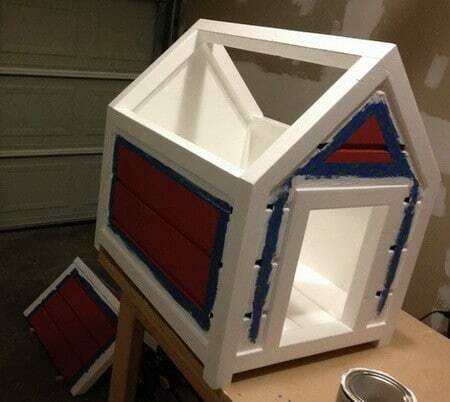 Here we have the front panel part of our dog house painted. 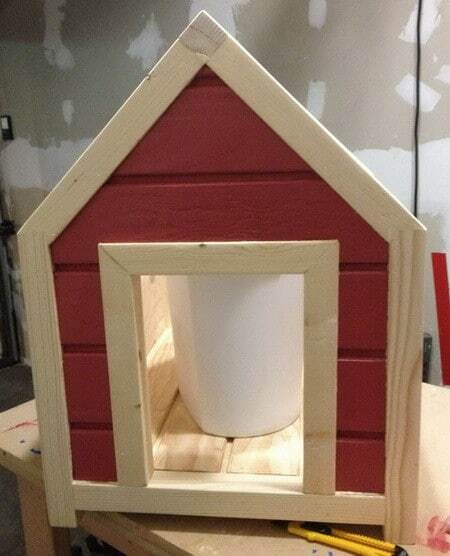 We begin carefully painting the dog house using our color scheme. We decided on a white and maroon 2 tone paint job. 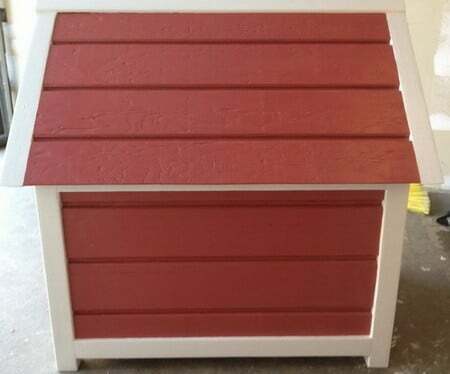 Here is a side view of our dog house once fully painted. After 5 hours of work here is our dog house fully completed. 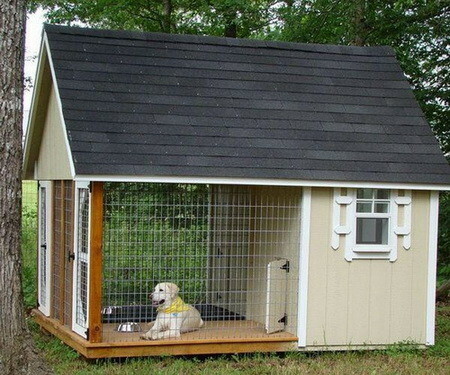 Here is a dog house that any big or small dog would love! 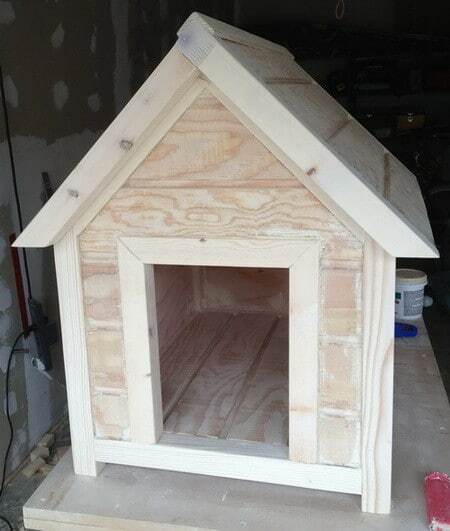 Here are some other websites to assist you in creating and building a dog house for more help. I am confused as to how you made the frame visible from the outside for example the white wood can you give some more instructions? I have all the wood attached to the back of the sides etc but I am so confused as to how to get it to look like yours! I am 14 so attempting to build this myself.